Syon Park encompasses 30 acres of gardens and 200 acres of parkland attached to the Duke of Northumberland's London home, Syon House. The attractively landscaped park - designed by 'Capability' Brown in the mid 18th century - includes herbaceous beds, a large lake, a rose garden with 100 different varieties of old-fashioned rose and almost 200 species of tree. 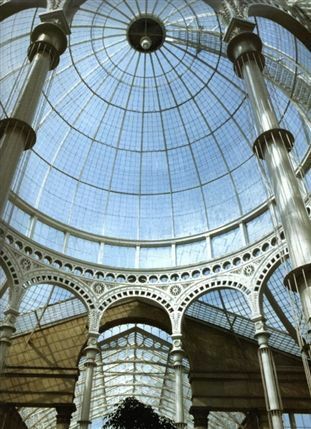 In the historic garden, the restored Great Conservatory - a magnificent building of glass and stone - forms the centrepiece. Plants in the conservatory have been planned so that each blossoms with its own scented theme throughout the summer. The gardens themselves also include a miniature steam railway which operates from April to October at weekends, Bank Holidays, and by arrangement. Syon Park gyms, sporting activities, health & beauty and fitness. What are the best dining options near Syon Park London? The best pubs near London Syon Park. Syon Park clubs, bars, cabaret nights, casinos and interesting nightlife. Where to have your meeting, conference, exhibition, private dining or training course near Syon Park. From cheap budget places to stay to luxury 5 star hotels see our discounts for Syon Park hotels, including Holiday Inn London Brentford Lock from 86% off.